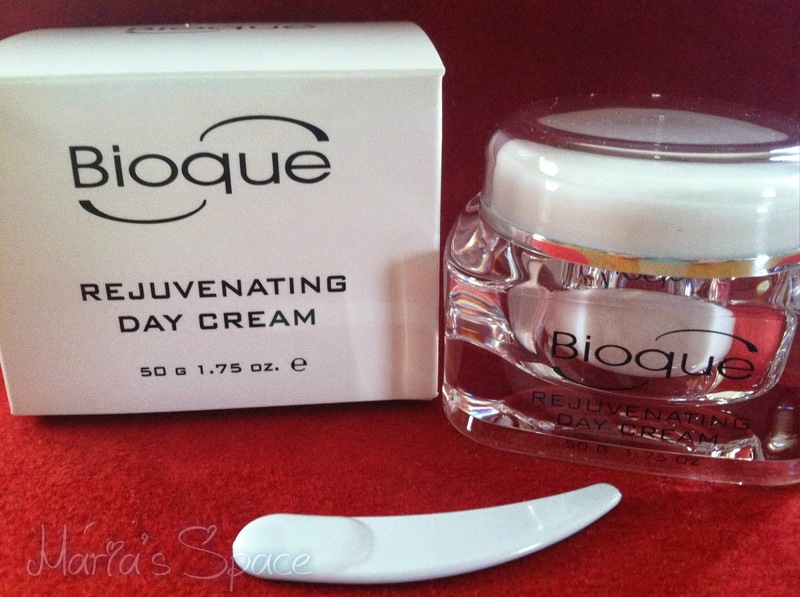 Over the past two weeks I have been using Bioque Rejuventating Day Cream. I have been a user of facial moisturizer since the age of 12 and really love trying new things these days. I am totally in love with the jewel looking bottle. It is lovely on my bathroom counter but it what is under the cap that is really amazing. Every morning after cleansing my face I apply the rejuvenating day cream in upward motions and wait for it to dry before applying foundation. I even add a bit to my foundation. Whenever I apply foundation I mix it on my hand with some moisturizer and apply with a brush. What I have noticed after using for two weeks. 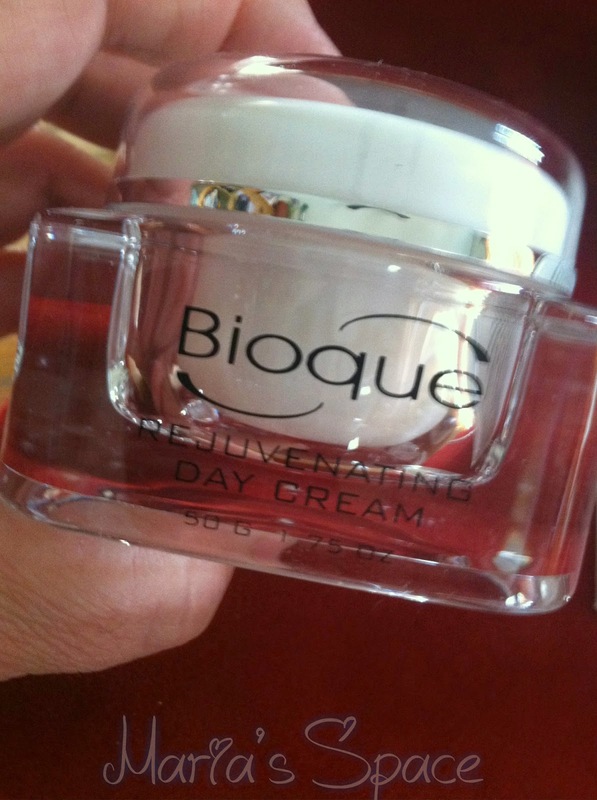 The cream definitely makes my skin feel less aged. I actually do see huge difference in the feel and look. 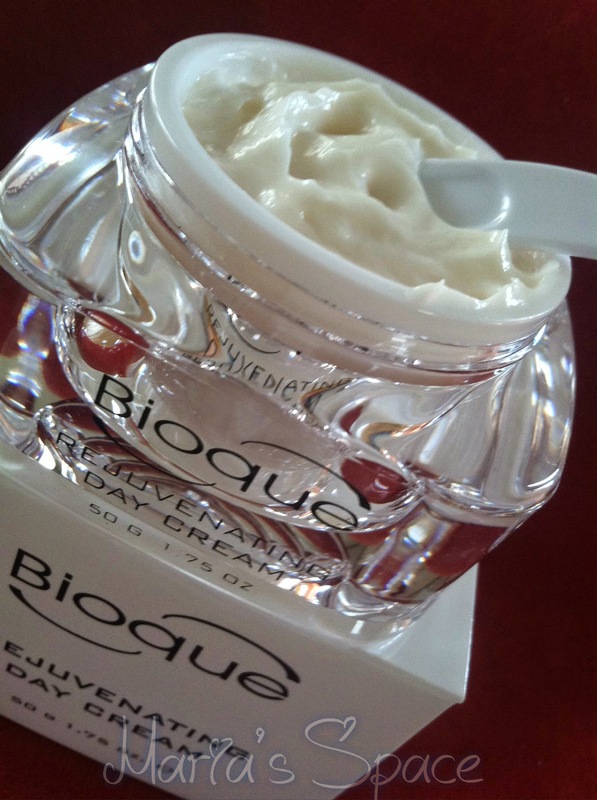 My skin is much more supple, silky and dewy. I think it has to do with the second ingredient Cyclopentasiloxane. This is a type of silicone. 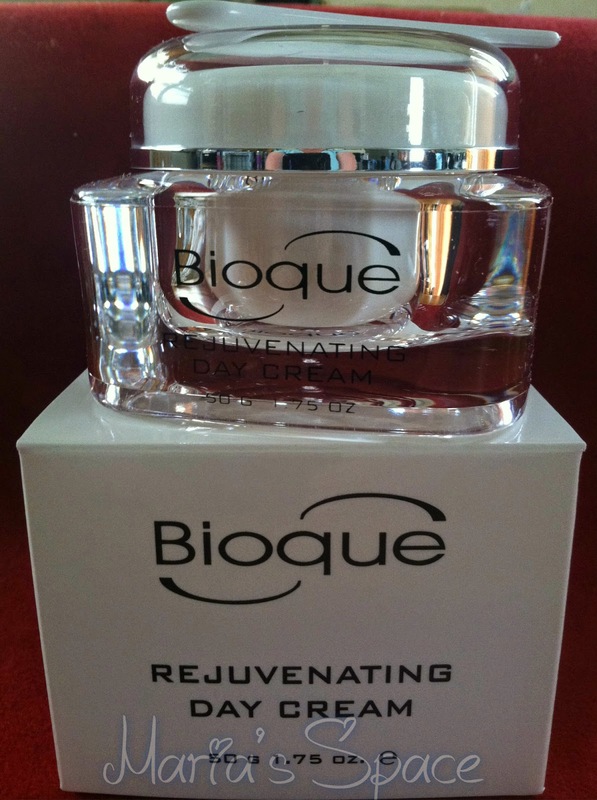 It absorbs quickly into the skin and causes skin cells to expand which erases a lot of those lines. Interesting! After I go through this container I will be purchasing another. 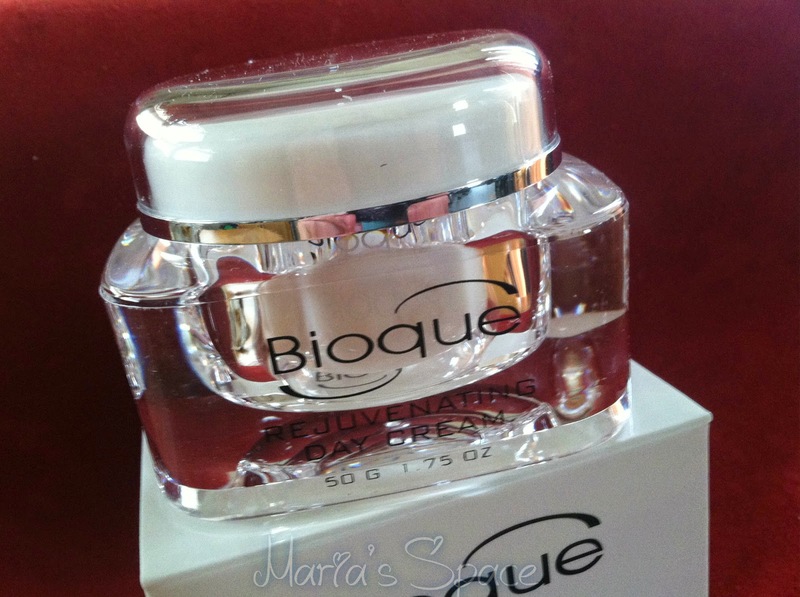 You can too at Bioque.